Earlier this month, Will and Eleanor from the USF team attended SOCAP13, the eighth annual Social Capital Markets conference, where entrepreneurs, investors and intermediaries gathered to discuss accelerating the good economy and the intersection of business and impact. • Abhinav Kumar, Evomo Research and Advancement Pvt. Ltd.
• Jaydeep Mandal, Aakar Innovations Pvt. Ltd.
USF Managing Partner Will Poole spoke at the session: “Does the Indian Story on Impact Investing Offer Leads for the World to Follow?” Nisha Dutt of Intellecap moderated the panel, which also included Srikumar Misra, Founder & CEO of Milk Mantra, Vineet Rai, Founder & Managing Director of Aavishkaar, and Jinesh Shah, Founder & Partner of Omnivore Partners. 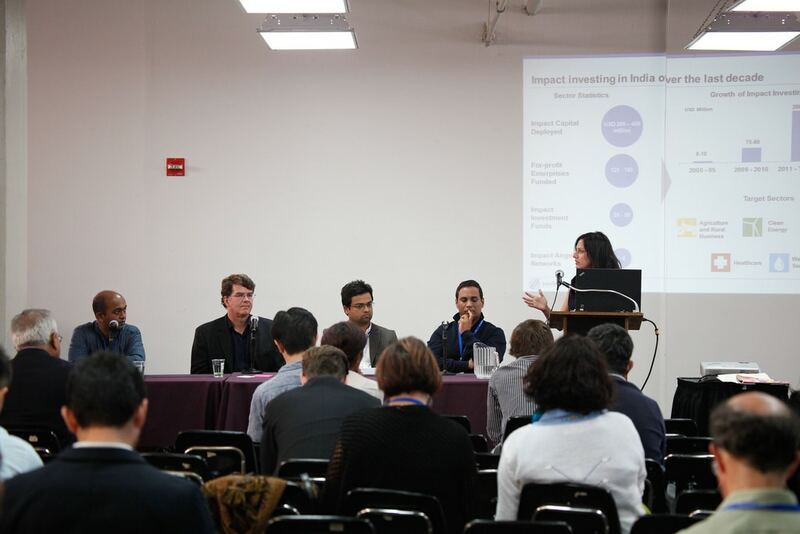 The panel attracted entrepreneurs working in emerging markets, attendees with a general interest in India, and many NRIs living in the US, but curious to learn more about social enterprises and impact investors in India. One big announcement at SOCAP was the creation of a global alliance with Sankalp Forum. Sankalp, which is sometimes referred to as the ‘SOCAP of India,’ is an annual summit for social enterprises in India hosted by Intellecap in Mumbai. The new partnership aims to support collaboration, information-sharing and cross-fertilization between the Global South and Global North in order to grow impact investing globally. We are looking forward to supporting and learning more about this partnership as it develops. 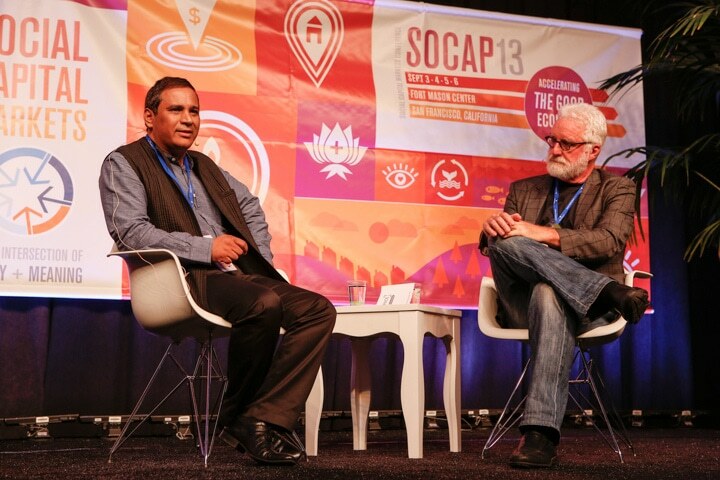 Read more about SOCAP13 here.